Strong winds, rich mineral soil, and a life-giving river make Kampot, Cambodia not only a special place to be, but the perfect terroir to grow exquisite Kampot Pepper - the only pepper in the world to receive Protected Geographical Indication (link to blog post) status. BoTree is co-owned by two brothers-in-law (one in Cambodia, and one in Scotland) and represents the fulfillment of a mutual dream. Peter and Christopher are seasoning and food pairing experts who love sharing the story of Kampot Pepper - its complicated history and the seasoning renaissance unfolding today. Whilst professional chefs know that seasoning perfection is critical to incredible food, BoTree aims to expand this knowledge to every kitchen. 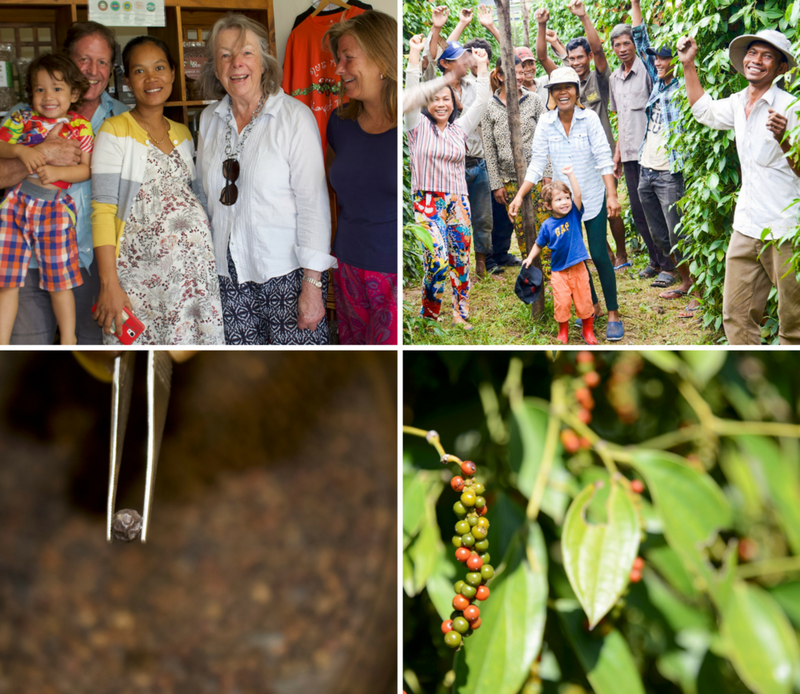 BoTree is committed to honouring the rich legacy of Kampot Pepper and those who have farmed it for generations by being responsible stewards of the environment, ethical employers, and contributing members of the Kampot community. The farm employs over 20 workers, many of whom are family members on the Khmer side who receive free lodging and food, as well as higher than average salaries for the sector. BoTree supports the building of local schools and additionally donates 10% of all profits to the Cambodian Children's Fund (link). Because the Kampot Pepper we sell is exclusively from BoTree's family farm, we are able to guarantee 100% organic status. Each batch is hand-sorted with love and a keen eye for meeting stringent standards (link to video). The best peppercorns are chosen, freeze-dried for ultimate freshness, and sent from the farm to our family home in Scotland, where it is sold across the UK and beyond. We love tasting how seasoning perfection can transform food, and sharing that experience with people who love to cook and eat. Whilst professional chefs know the difference quality seasonings make in overall food flavours, we see a public ripe for this knowledge. We are passionate purveyors of Kampot Pepper because we believe it’s the world’s best pepper, and the heritage is unlike any other. With records of regional pepper dating back to the 13th century, by the early 20th century the pepper industry was exporting over 8,000 tonnes of pepper, favoured in particular by French restaurants. But during the Khmer Rouge era, the century-old pepper industry was labeled a luxury crop and destroyed. Today, a seasoning renaissance is underway, sustained by traditional farming wisdom passed down through generations. Buying Kampot Pepper supports Cambodia investing again in its finest produce and only crop export. We honour this legacy through our commitment to being stewards of the earth, ethical employers, and contributing members of the Kampot community.